Editor's Note: This post was originally featured on kcts9.org. Reposted with permission. The second season of PBS’s acclaimed series, Mercy Street, returns January 22, 2017 on PBS. The story, which is set in Virginia during the Civil War, follows the lives and the difficulties faced by the people of the Mansion House Hospital. KCTS 9 spoke with new cast member Bryce Pinkham — who plays strict new hospital chief Major Clayton McBurney III — about his character, what he learned about soldiers of war and PTSD, his nonprofit organization that encourages theatrical storytelling, and more. Who is Major Clayton McBurney III? What does he bring to the series? He is the new chief of Mansion House Hospital. He is a Princeton-trained doctor, with very little real-world experience, and he certainly lacks the type of people-skills that you might expect from someone who has risen to such a position at a relatively early age. He is officious and pragmatic, indisputably surpassing his predecessor in attention-to-detail, but also possessed of a certain verbal flair that belies an overcompensation for emotional shortcomings and curious obsessions. He’s “an iron fist in a velvet glove.” I hope he will bring some quirk and intrigue to the Mansion House proceedings, but also a chance for audiences to view the deterioration of one whose war wound is not physical but mental. McBurney deals with PTSD-related physiological wounds; what did you learn from playing this character and working on this series that you hadn’t known before about soldiers of war and PTSD? I perform regularly with a theater company called Outside the Wire who take performances of Greek tragedy to American-military audiences around the world to create discussion about PTSD and soldier suicide. It’s one of the greatest things I’ve ever been asked to do as an actor. I wrote an article detailing one particularly eye-opening trip to Guantanamo Bay for American Theater Magazine. I have been exposed to a great deal of the issues surrounding PTSD, but what I have learned that is most relevant to my work on Mercy Street is that this illness is timeless. We didn’t have a diagnosis for PTSD in the Civil War like we do today, but those men and women definitely suffered from similar psychological wounds as our men and women in uniform do today. I believe McBurney is the perfect example of why PTSD is so insidious—it’s a hidden wound that can often be hard to uncover until it’s too late and the patient has harmed himself or someone else because of trauma suffered in the field. McBurney suffered a traumatic event in the field that he discloses to Miss Hastings in the second episode of the season, and the lingering effects of that trauma make themselves known throughout the rest of the season. 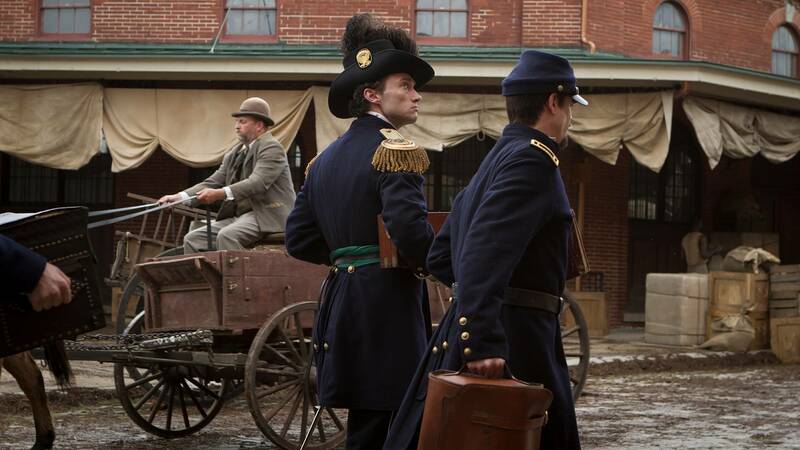 Mercy Street not only provides entertainment to viewers, but it acts as a source of history lessons for many. Did you know a lot about the Civil War before joining the cast? What was something new you took away from this experience? I didn’t know enough about the Civil War or its lingering effects as we all should. It’s really easy to think that the Civil War was the end of slavery, and the triumph of our collective conscience and humanity over oppression. Sadly, the oppression and systemic subjugation of people of color in this country still exists. It is so easy to look at McBurney and immediately categorize him as a villain. Reflecting back from when you first read the script to having explored the character in the second season, do you think your perception of him changed? Do you see him as a villain still? I don’t like the word “villain.” It’s too reductive. Calling someone a villain makes it too easy to ignore all the factors that went into someone making the choices they do. I think the only productive way to approach characters, and frankly people in life, is through empathy. The minute we call someone a villain, we are choosing to part with empathy and that can be a slippery slope, both as an actor and a human being. I don’t think my perception of McBurney changed, he is a wounded man put in a position he has always wanted but knows he is deeply unqualified to hold. Who hasn’t felt like a fraud in their own skin before? McBurney compensates for his mental injury and his crippling self-doubt through rigorous adherence to regulation, strict maintenance of order and balance in his surroundings and the exertion of categorical authority over his subordinates. I am curious to see how the perceptions of McBurney change over the course of the season — both in the eyes of our audience and the other characters at Mansion House. When do you feel the character transition happens for you? Is it when you say the lines, when you are in costume, or when you read the script? Spoiler alert: I don’t ever feel a full transition. I don’t ever feel like I have left myself, because if I did, I would need professional medical attention. I always have to keep my own wits about me, or I would miss a mark on the floor, or be unable to follow the director’s advice from the last take. However, when I’m at my best, I feel like I’m doing an impression of a person I’ve never met. It feels complete, and yet improvised. The process of imagining, rehearsing and creating that impression from which to improvise starts when reading the script. I start to hear his voice-quality, his cadence and rhythms. Then, I usually experiment with posture and physical attributes that may inform the character. 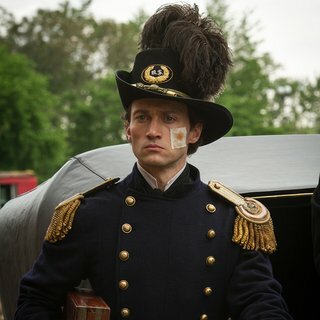 Next, my impression gets a nice injection of inspiration when the costumes arrive and I can see his silhouette in the mirror and experiment with how he stands in his boots, and what feather he chooses to put in his cap. Then I go memorize all the lines and try and connect each line to a thought I think he might have. Then I show up on the day, wait my turn, and when the director calls “action,” I trust that I have done enough work on my impression that I can just believe it strongly enough to play with abandon from inside that character. One can only imagine how intense and heavy the shooting days can be. How do you unwind? What other ways do you express yourself creatively? Unwinding from a long day of shooting is not the hard part for me. All it takes is a delicious meal in Richmond (of which there are many) or an hour of SportsCenter. The toughest parts of the shooting schedule for me are the days between working, when you’ve nothing to do but wait. There is only so much time you can spend on a script before it becomes so rehearsed that your performance becomes rigid and immovable on the day of, so one has to occupy one’s time in some fashion. For me, those interim days are usually spent exercising, exploring, learning to cook something edible, and working on my own creative endeavors. This year, I am mounting my own Cabaret act, so I spent many hours culling and practicing songs — much to the chagrin of my non-musical neighbors. You come from a background in Broadway. Is there a difference in stage and screen acting and storytelling? What are some of the challenges each platform presents that you enjoy? Yes, the “stage” on which you perform in film and TV is much smaller. Moving your eyes across the frame is equivalent to crossing from stage right to stage left in a big Broadway house. Coming from a theatrical background (and temperament), this is something I am still learning. However, I think ultimately your responsibilities to the character and the overall story are the same in both mediums, so my approach felt very similar. Onstage, I enjoy the thrill of live performance — there is no substitute for that rush. On camera I enjoy the crafting of a scene, the widespread creative marksmanship happening all around you for every second of footage. Onstage you can suddenly feel solitary, like it’s all on your shoulders, while on camera you feel like there are so many people working with you on every shot. Those are each unique and gratifying challenges. You have a nonprofit organization, zaraarina.org, which you co-founded with fellow Broadway actor Lucas Caleb Rooney. 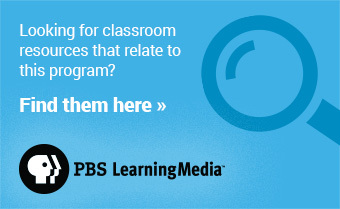 Can you share what the program is and how others can get involved? We are a New York-based charity that empowers at-risk children to expand their capacity for achievement through theatrical performance and storytelling. Our flagship project takes early-career actors to Madagascar to work with children from a slum in the capital city. We engage the children in a cultural exchange that results in a theatrical show that tours the island of Madagascar, while also providing them with after-school mentorship, nourishment and educational aid. You can find out more about how to help us at our website, zaraaina.org. I’ve read that you like to backpack and travel. What have been some of your most memorable excursions? What are some places that are on your bucket list? I grew up hiking the Sierra Nevada Mountains — they are my backpacking home — but I loved my trips in New Zealand and also Iceland. My bucket list includes Patagonia, Alaska and the Alps. Book (Sorry, person who just bought me a Kindle!). A Gentleman’s Guide to Love and Murder. Depends on the time of day (see above). KCTS 9 staff consists of experienced journalists and videographers, producing local stories on the issues that shape the greater Seattle area.